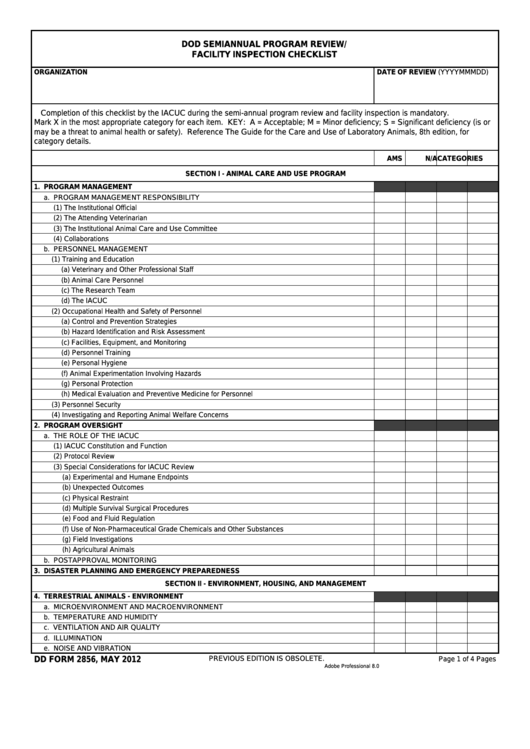 Download a blank fillable Dd Form 2856 - Dod Semiannual Program Review/facility Inspection Checklist in PDF format just by clicking the "DOWNLOAD PDF" button. Complete Dd Form 2856 - Dod Semiannual Program Review/facility Inspection Checklist with your personal data - all interactive fields are highlighted in places where you should type, access drop-down lists or select multiple-choice options. Completion of this checklist by the IACUC during the semi-annual program review and facility inspection is mandatory.